Even within his own party, Ted Cruz is viewed as the most loathsome member of the U.S. Senate. John McCain once called him a “whacko bird,” and Lindsay Graham said that if Cruz was murdered, no Senator would vote to convict whoever killed him. Still, as a Republican from Texas, Cruz seems like he’s got a safe seat. 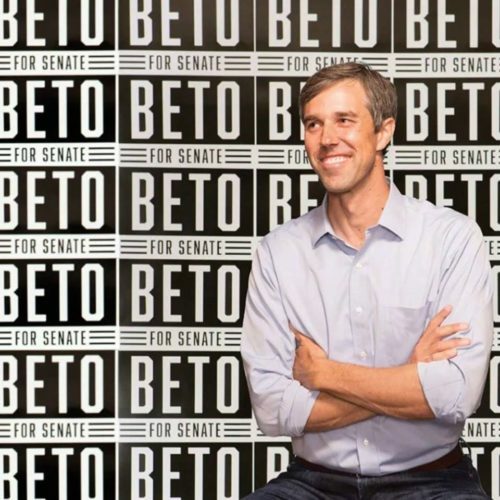 Rep. Beto O’Rourke has accomplished a seemingly impossible feat: he has raised more money for a Senate run than any Democrat in the state before him. O’Rourke has raised more than $13 million so far, including $6.7 million in the first three months of this year alone. That sum is all the more remarkable because it came solely from individuals; O’Rourke refuses to take money from corporate political action committees. By contrast, Cruz never met a homophobe he didn’t like, even those calling for gays to be put to death. O’Rourke has an uphill battle. While Democrats keep dreaming of the day when demographics will make Texas more purple than red, a Democrat hasn’t won statewide office for 20 years. Still, O’Rourke has some advantages going for him. He’s fluent in Spanish, which could help with a key constituency at election time. Moreover, there are clear signs that Democrats are eager to vote to show their displeasure with Republicans, starting with Trump. The election of Democrat Conor Lamb to Congress in a district that went heavily for Trump in 2016 is one indication. The election of a progressive judge in a special election in Wisconsin earlier this month led to Republican Scott Walker warning about impending GOP doom. In any case, having a viable, pro-LGBT candidate against Cruz will be a treat. The campaign promises to be heated. Cruz has already made fun of O’Rourke’s name (a shortened version of Roberto), even though his own name is Rafael. Expect similar insults as the election draws closer. Just don’t expect to see any of Cruz’s Republican colleagues in the Senate hitting the stump for him.